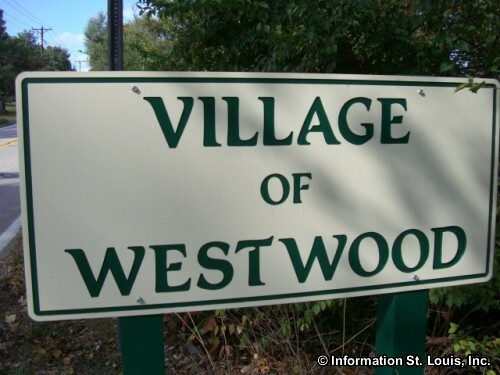 The Village of Westwood Missouri is located in Mid St. Louis County, about 25 minutes west of Downtown St. Louis via Interstate 64. Important roads for the community are Ballas Road, Conway Road, Westwood Country Club Drive and Interstate 64. The Village of Westwood was officially incorporated in 1951 and in 2010 had a population of 278 residents. 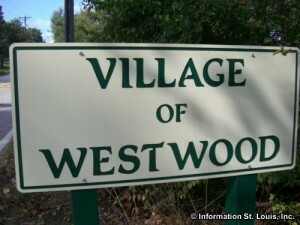 The residents of Westwood are served by two public school districts, Ladue School District and Parkway School District. The Ladue School District has one early childhood center, four elementary schools, Ladue Middle School and Ladue Horton Watkins High School. Parkway School District has four high schools, five middle schools and eighteen elementary schools. Parkway Central High School serves the Westwood community. Westwood Country Club, a private 18 hole golf course, is located within Westwood's boundaries.